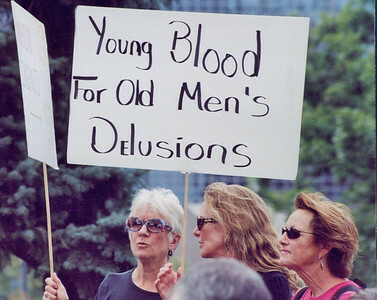 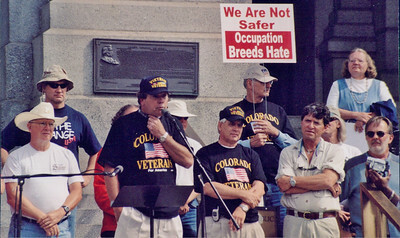 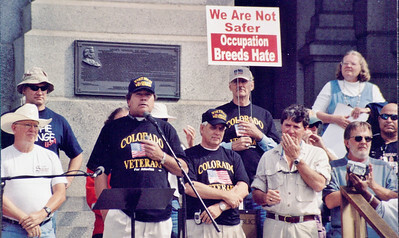 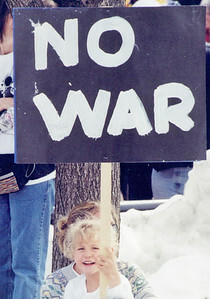 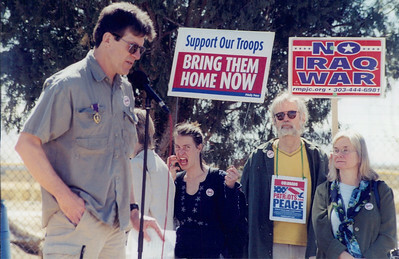 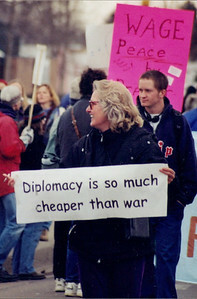 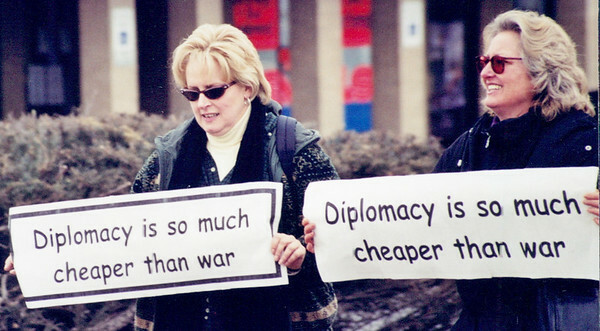 Decorated war veteran (Purple Heart), speaks out against a war on Iraq at a demonstration at Buckley Air Force base near Denver, Co. 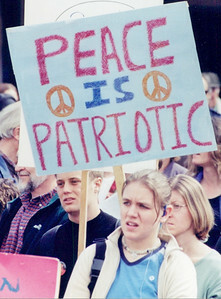 (2001/2002??). 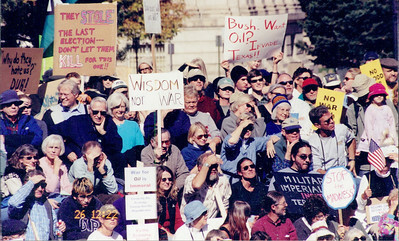 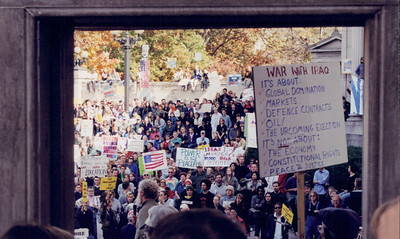 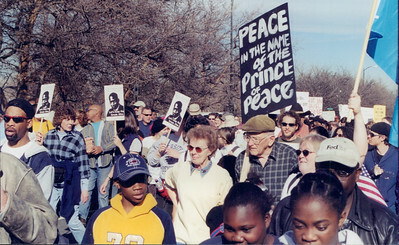 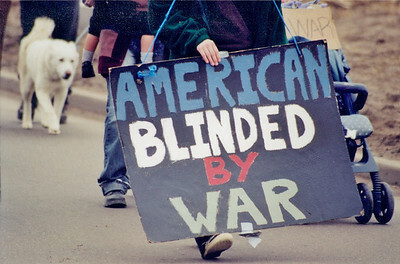 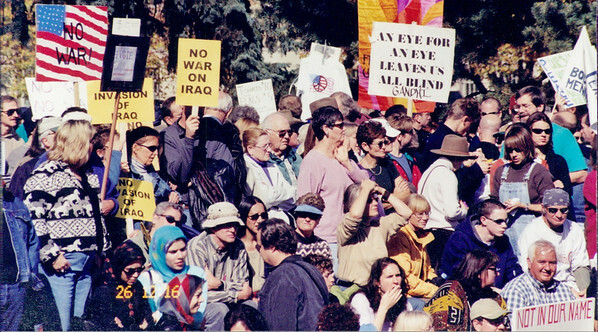 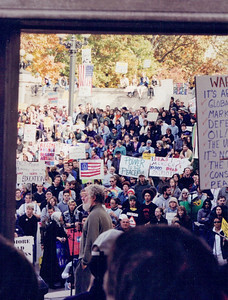 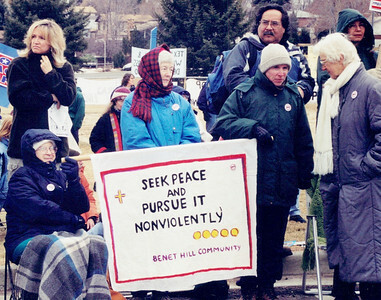 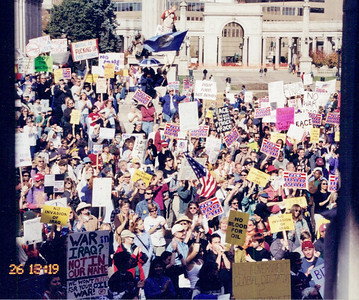 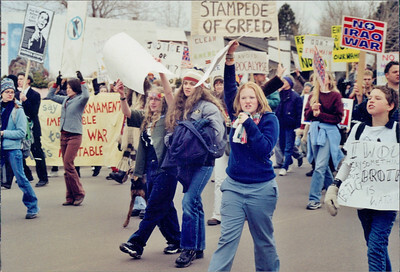 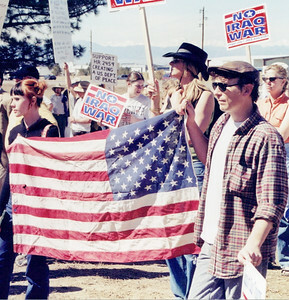 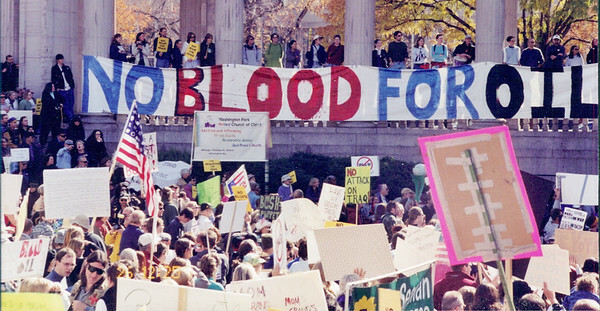 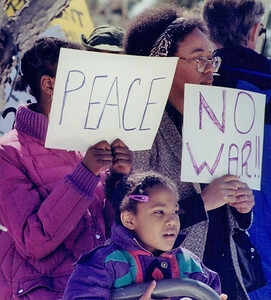 Colorado protests against Iraq war, 2001 & 2002.